Home › Personal Finance › Are You Proactive or Reactive in Your Finances? Are You Proactive or Reactive in Your Finances? 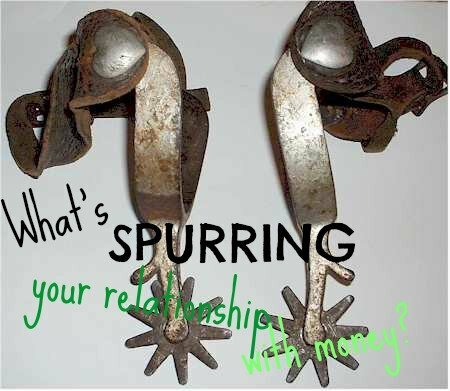 Who’s in control of your relationship with money? Is it you? Or do you let your money rule you? One of the many things that struck me as we spoke with J.D. 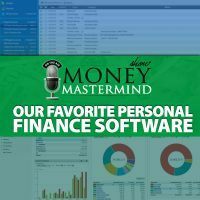 Roth during our last episode was the difference between proactive finances and reactive finances. “Proactive” is one of those words that is often overused, but it applies when you consider how you interact with your money. Are you being proactive in your relationship with money, or are you constantly reacting to what’s going on around you, and letting events dictate what happens next? A reactive approach to finances is one in which your money necessities drive you. Rather than planning ahead, you are always reacting. You are reacting to bills that need paying. You are rushing around trying to make ends meet when a small financial emergency crops up. Reactive finances are all about responding to your finances when you have to. Reactive finances also manifest in the way you spend money on a regular basis. With reactive finances, you make a number of impulse buys, driven by a good deal you see, or because something seems like a good idea in the moment. When your finances are reactive, almost every money decision you make is determined in the moment, and you rarely take the time to think through the consequences, or consider the end game. 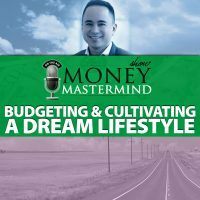 A reactive approach to money is one of the big reasons that so many people live paycheck to paycheck, and that lifestyle inflation takes over your budget. Rather than sitting around and waiting for circumstances to force you into making financial decisions, it’s a better idea to get proactive with your finances. This means taking action and planning ahead. You can’t wait for your financial situation to dictate what happens next — at least, not if you want financial freedom and success. Look at your money as a resource. How should you direct your resources in a way that makes sense for your lifestyle? First of all, it starts with figuring out what you value, and then setting priorities for your money, based on those values. If you don’t really know what you value, it is impossible to create a plan for your money that reflects what you want. It won’t really matter where your money goes, and it will keep slipping through your fingers. Instead, take a look at how you can manage your cash flow in a way that allows you to live how you want. If experiences are more important than things to you, it’s time to clean our your clutter and consider how you can have more experiences. I like to eat out. For me, it’s part of an experience. As a result, I am willing to forgo buying another knick-knack that I don’t particularly care about so that I can have a nice dinner out with my family. Many people like to travel. One of the reasons that my home is almost always considered “too small” for my income, and that I don’t get hung up having a large TV, is because I want to have financial resources available to me for travel. I can’t live in a big house, and have a big TV and an expensive cable package and enjoy the amount of travel that I do. I like to plan out my spending ahead of time, based on what’s important to me. I don’t exactly have a budget, but I am proactive about how my money is used. Every month, I have my finances set up so that the most important items are automatically taken from my checking account. Charitable donations, retirement account contributions, emergency fund money, and bills like rent and insurance are all automatically taken from my account and go where they should. This is accounted for automatically in my personal finance software. 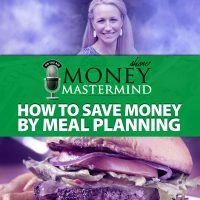 Because I’ve earmarked these items as priorities, my financial resources are dedicated to them — and it means that if something unexpected does come up, I’m not scrambling to find the money, since I have a cash cushion, and an emergency account. Everything else I spend money on is a conscious decision, made based on what’s important to me, and whether it enhances my preferred lifestyle. Whether it’s a nice desk for my home office, or whether it’s a high-end action figure for my husband, we make our choices based on what matters most to us, rather than spending on something that just seems like a good idea at the time — and that you later come to regret. What do you think? Do you take a proactive approach to your finances? ← How Are You Planning for Retirement?